PLATFORMS FOR BREAKFAST | by Esmirna Tapia: LET'S PARTY AT THE #POSHPARTY! YOU GUYSSSS! 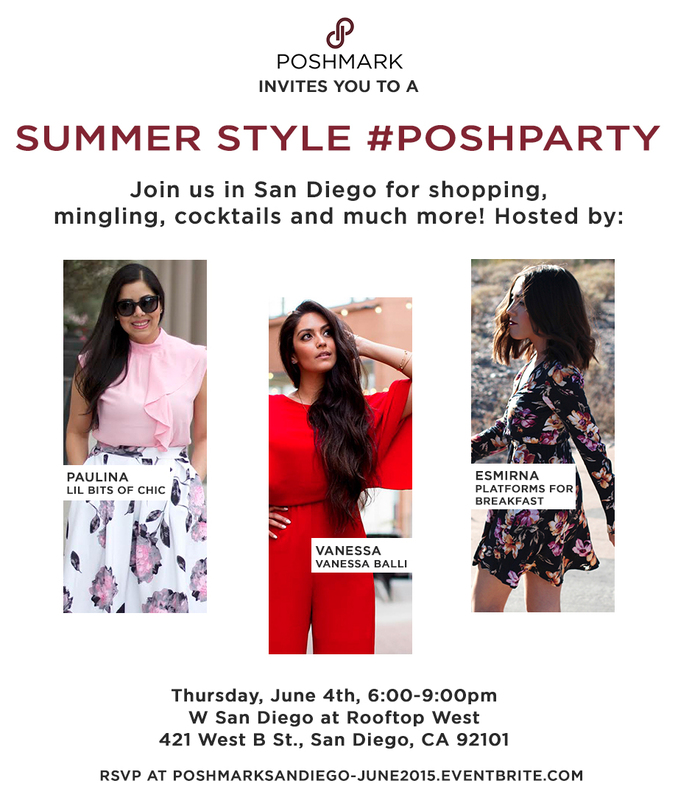 I am excited to announce that I will be hosting the #PoshParty THIS THURSDAY, June 4th from 6-9pm at the W Hotel in downtown, along with Vanessa of Vanessa Balli & Paulina of Lil Bits of Chic! There will be drinks, mingling, and a super cool raffle! Can't be there in person to celebrate? Don't worry- you can join in on the fun from anywhere you are, just make sure to download the Postmark app and shop my closet, @esmirna_tapia, or list your own "Summer Style" pieces! The best part? The first 10 people that join using the code HJQUD will earn a $5 credit to spend! SOOO EASYYYYY! What are you waiting for?! Make sure to RSVP to this event no later than Wednesday, June 3rd HERE. Hope to see you all there! Esmirna, I will totally be there (in the app, b/c sadly I am not local), shopping and sharing away. Would love for you to take a peek into my closet for some summer style gems.